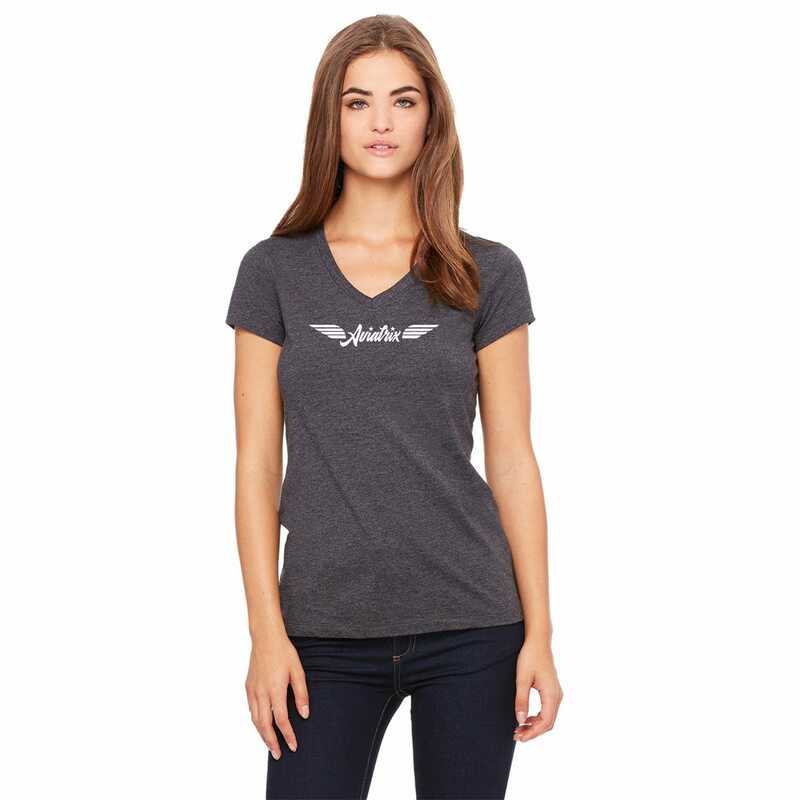 Our Aviatrix V-Neck Tee features ladies fashion fit that features a V-Neck collar and tear away tag. 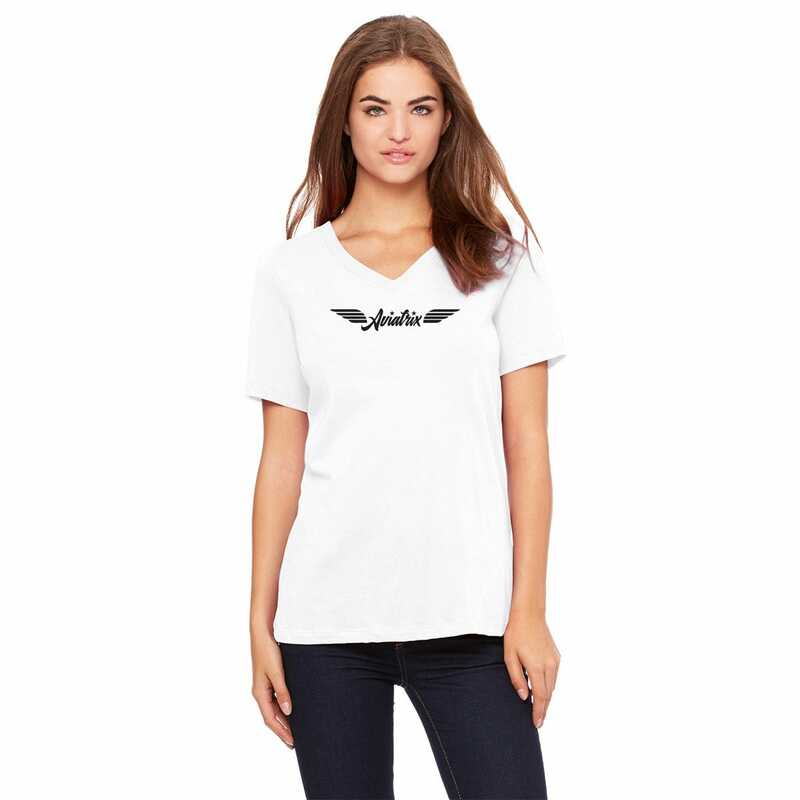 Screen printed across the front is the word Aviatrix with pilot wings. 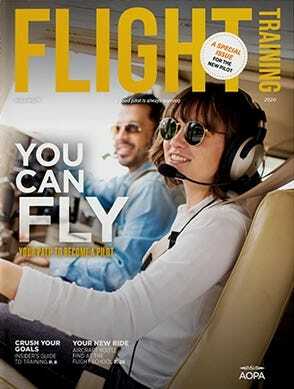 Made of 100% ring spun cotton. 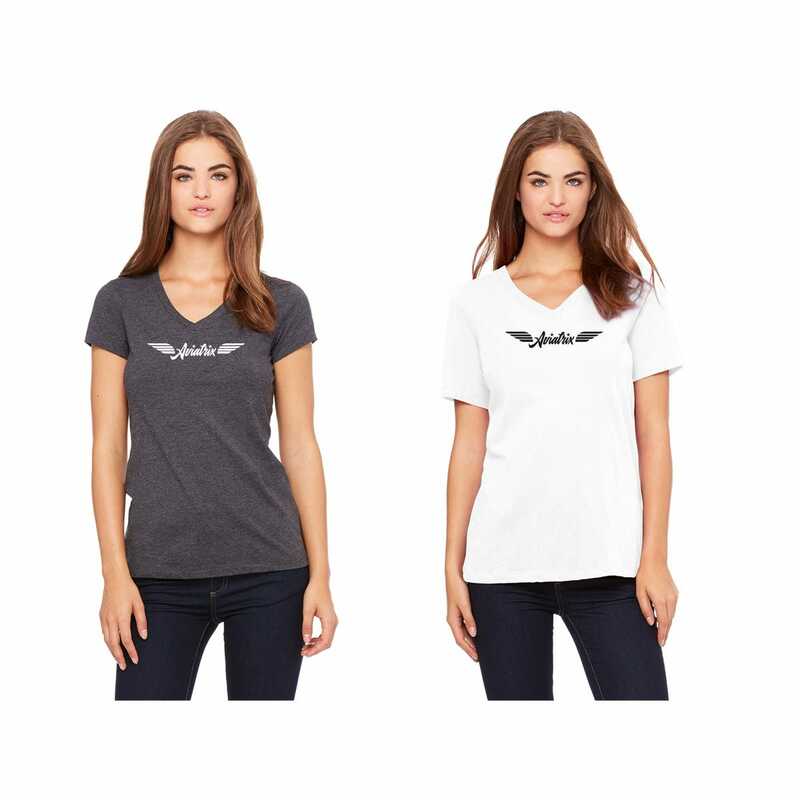 Available in sizes XS-XXL, and color options white or heather gray.